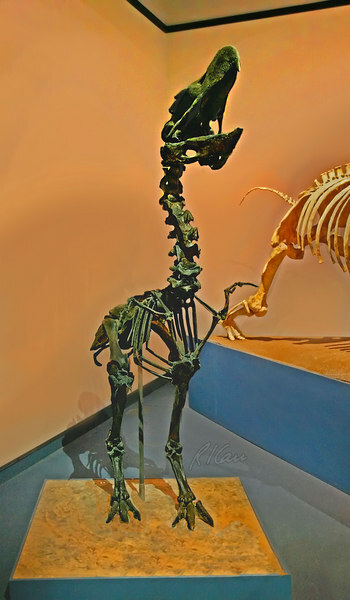 Prehistoric animal skeleton: Terror Bird, paraphysiornis brasiliensis, 55-2 million years ago, is one of a group of large flightless birds, whose fossils are largely found in South America, from Sao Paulo, Brazil for this fossil. It was a top predators of its time. Los Angeles Museum of Natural History, January 2006.